Carson has pointed out that there probably isn’t anything about the boys that I don’t “absolutely love.” Okay, fine, she’s right. But I do absolutely love the way Bernard always stands with his back feet so perfectly positioned together. I was just on Facebook and my sister’s entry today was that “it’s funny to watch a donkey chase a rabbit”. I never knew he did that – it is awfully cute. So cute! Looks like he is standing on his tippy toes! Isn’t that darling? 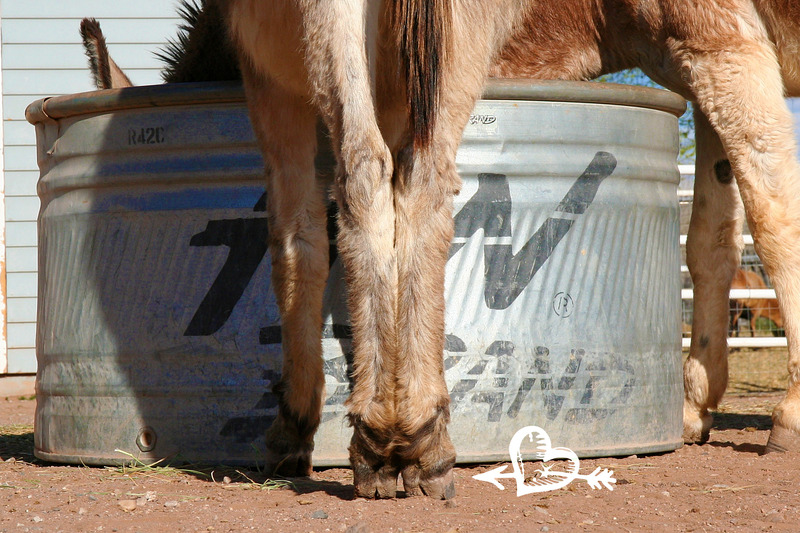 Celine stands with her two front legs tight together like that and her paws turned out slightly – it looks exactly like first position in ballet. I’m never quick enough to get a photo. Such elegance:) He should be a model! 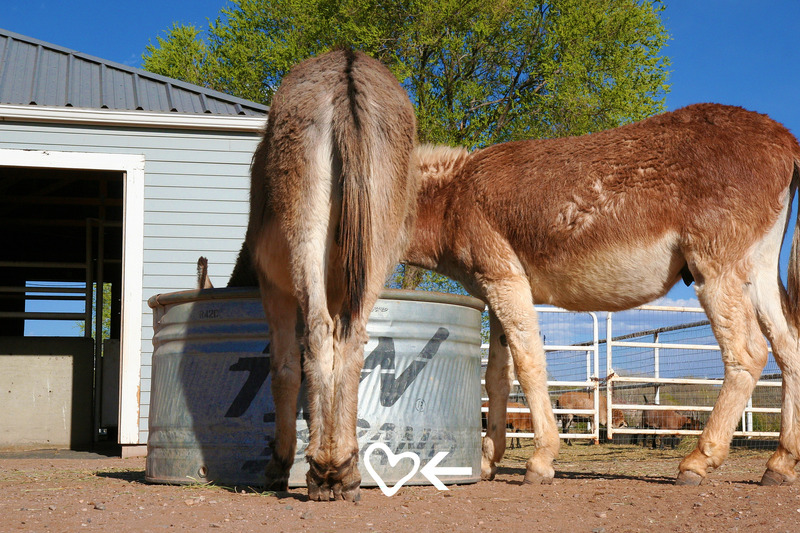 That’s quite some T-shaped burro y’got there in the first picture. Cleaning up after a two-[rear ended] animal like that might not be so bad as it would seem, him havin’ only one head like that. 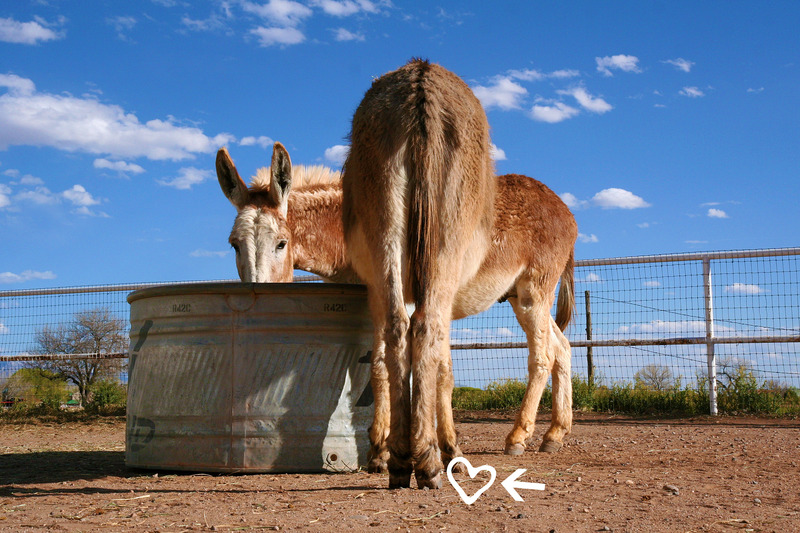 …and yes, the tidily placed hooves are precious! You’re absolutely right – that is too cute!